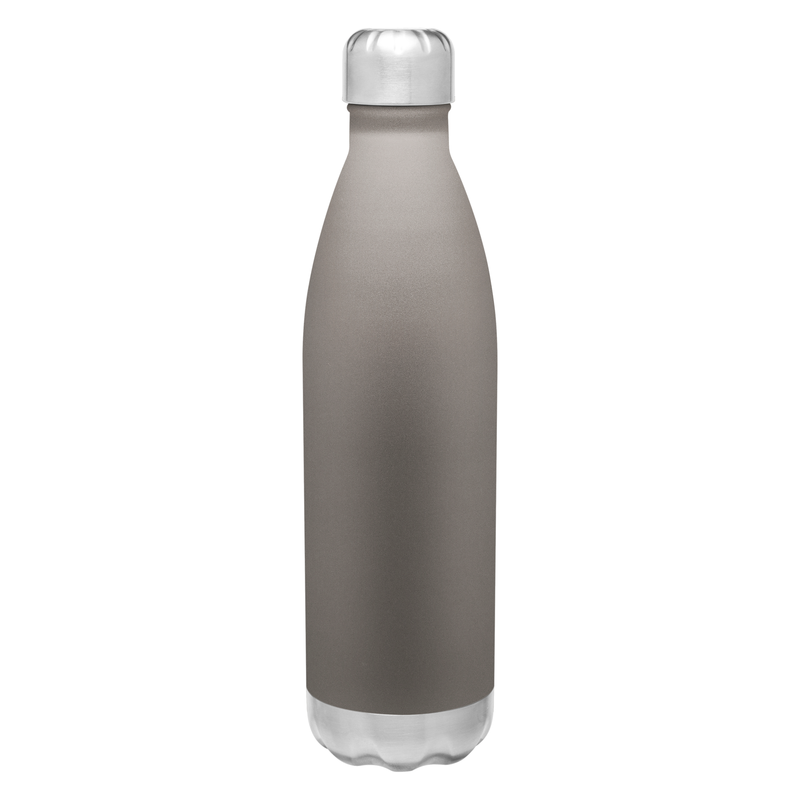 This trendy water bottle is constructed of double-walled stainless steel. It can keep your favorite beverage cold for up to 24 hours. The threaded lid is easy to grip and creates a nice vacuum seal.